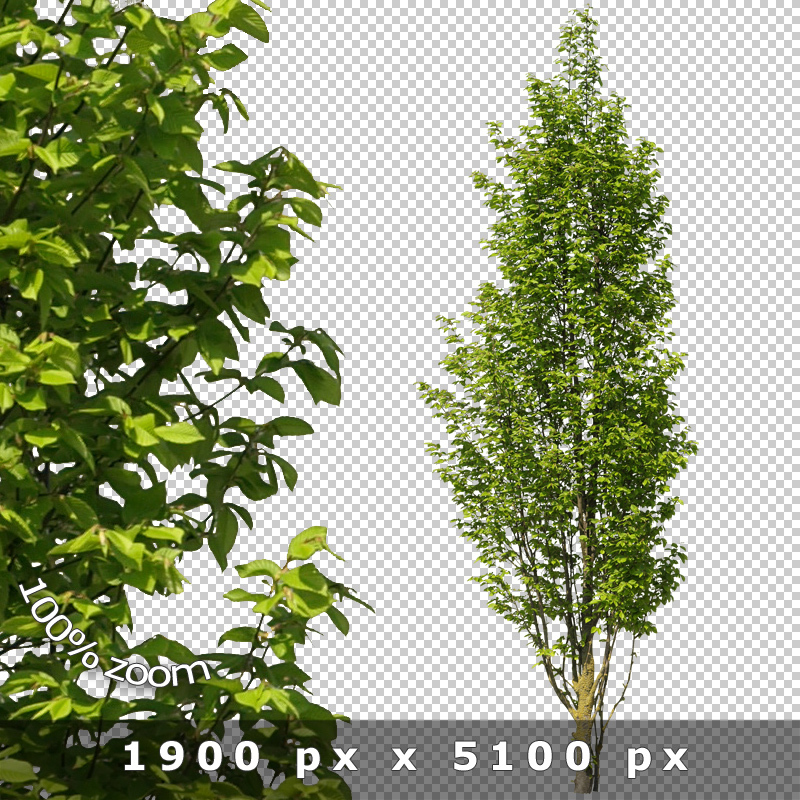 Avoid the clone effect in your renderings! 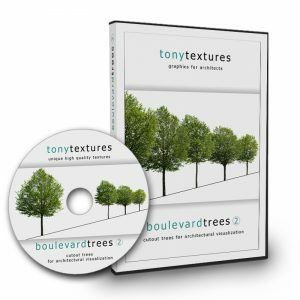 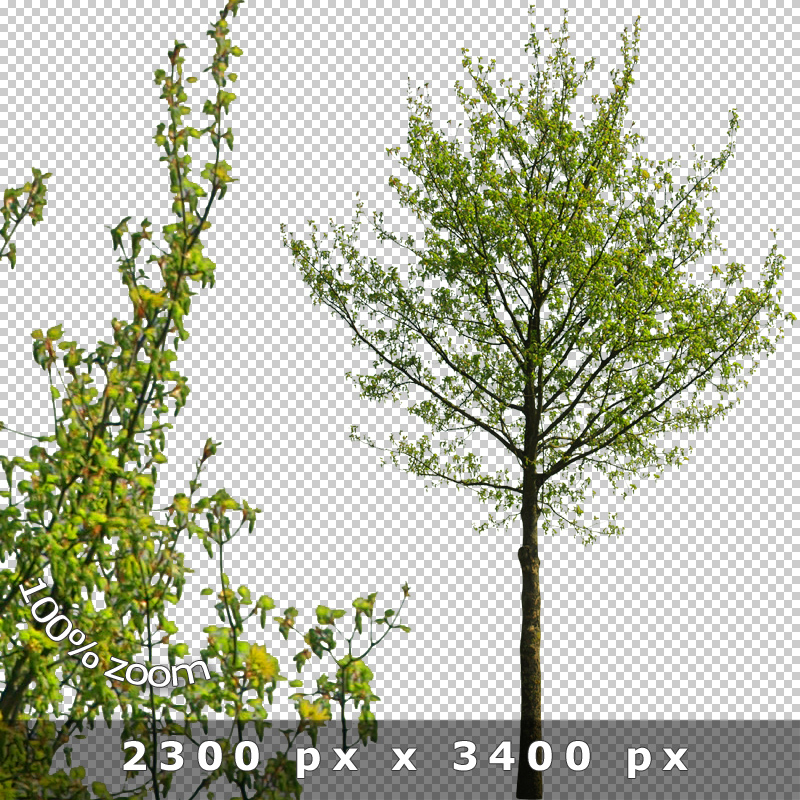 “Boulevard Trees V02” is the next version of our “Boulevard Trees V01” collection and comes up with additional tree groups. 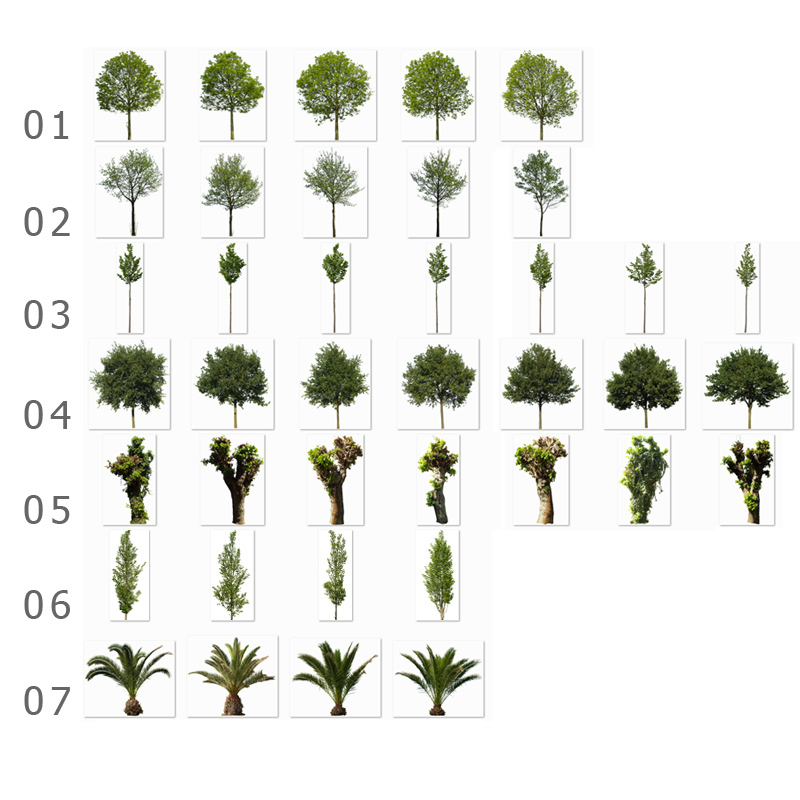 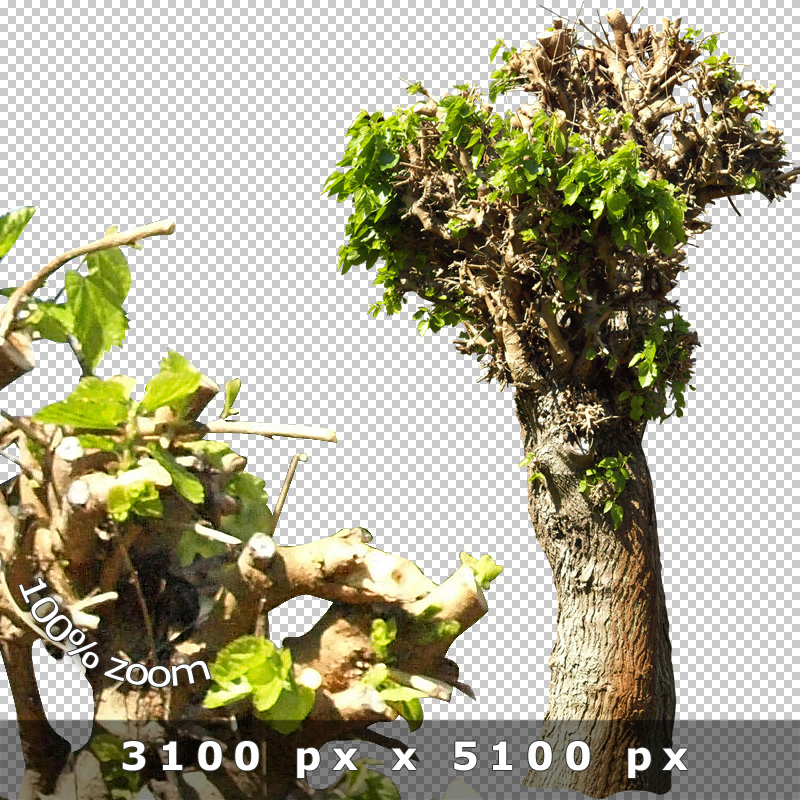 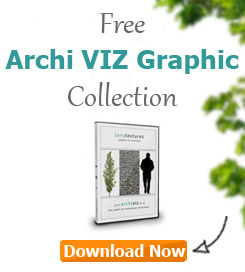 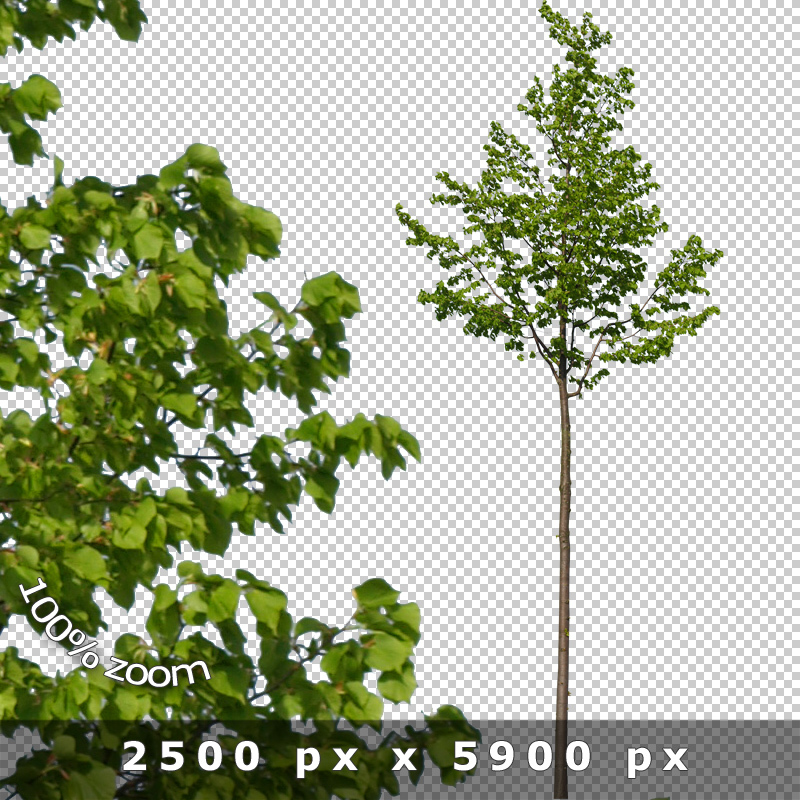 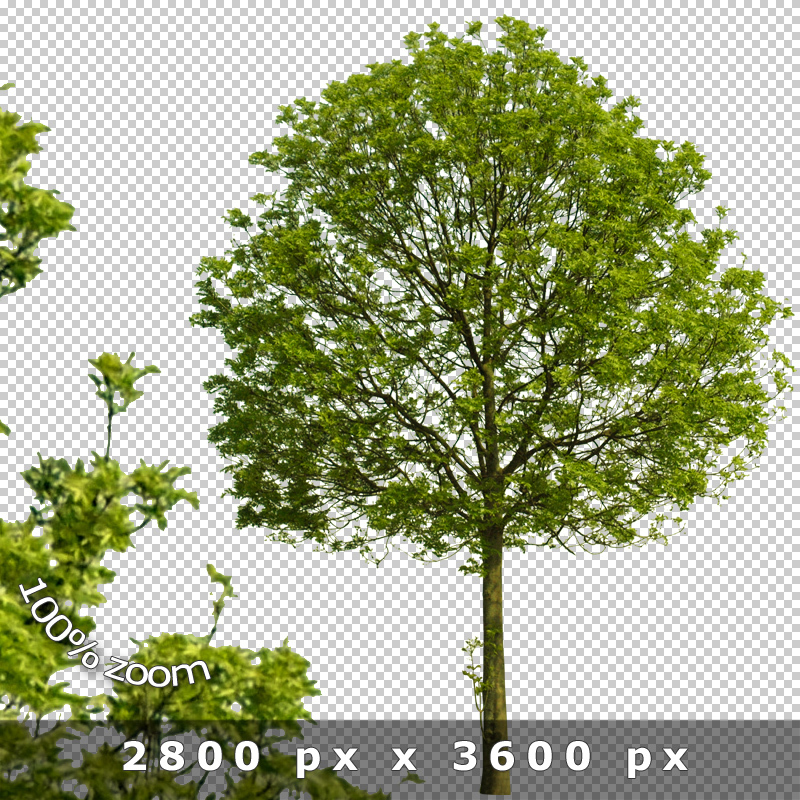 If you need directly several trees of the same kind in your architecture visualization it is not unusual that you need to clone one tree and use it several times in a single rendering. The problem is that you do not get only the same look but the exact same look due to cloning one tree several times. 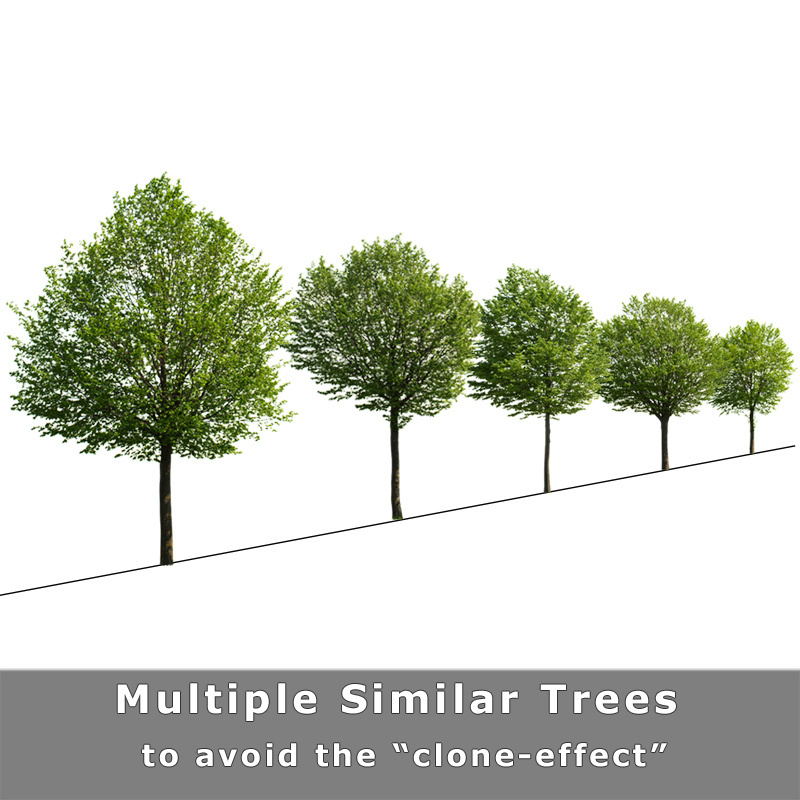 Avoid the clone effect if you need to visualize e.g. 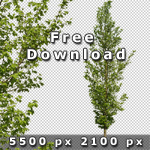 a tree line with our Boulevard Tree collections. 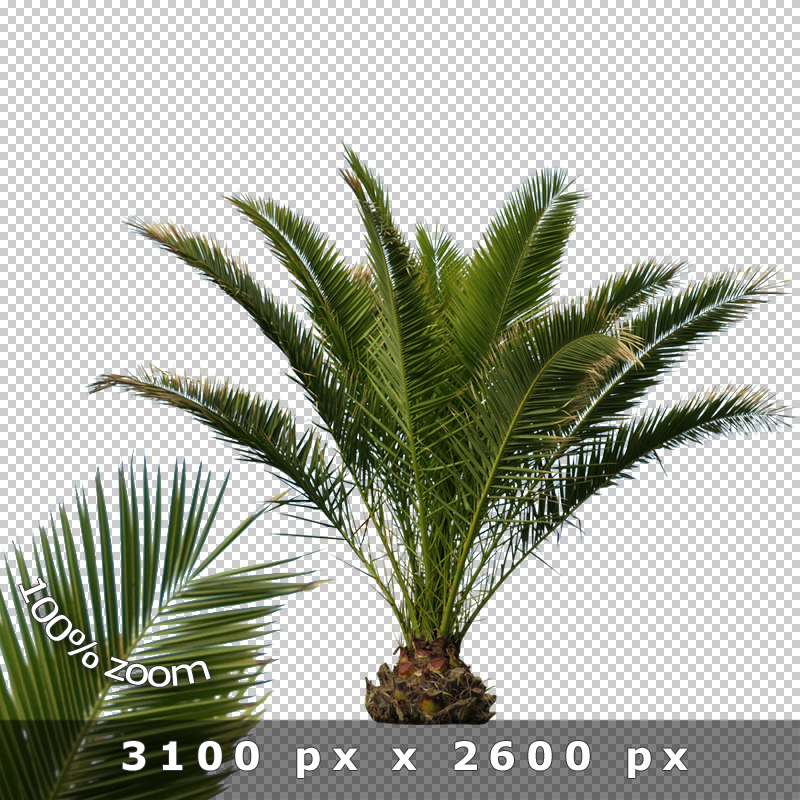 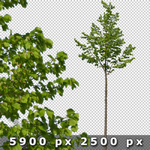 The graphics have a special high resolution at an average of about 4200 px x 2600 px (up to 6500 px height!) 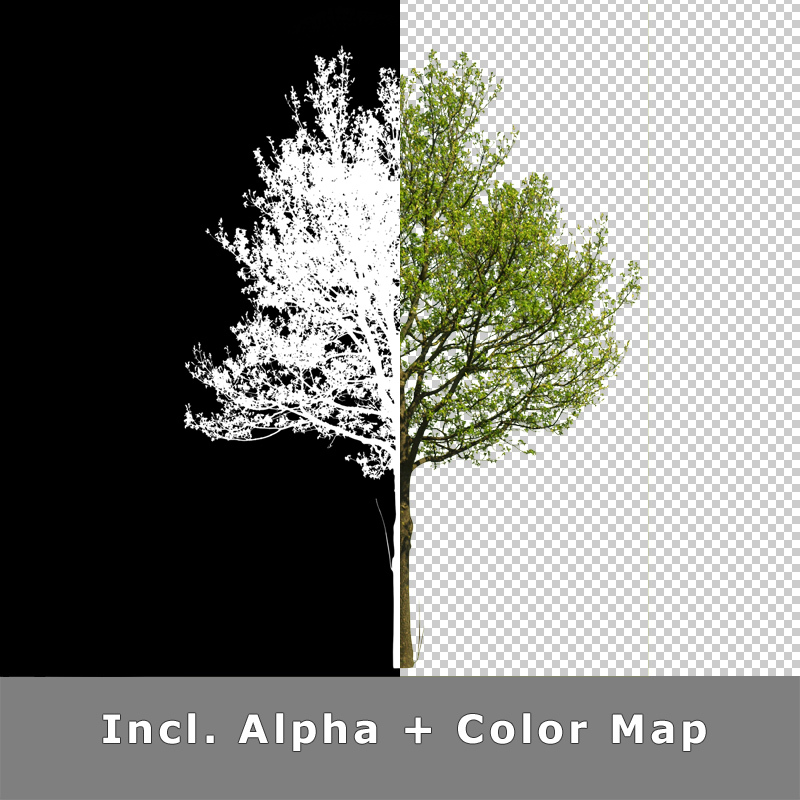 and therefore meets also highest requirements. 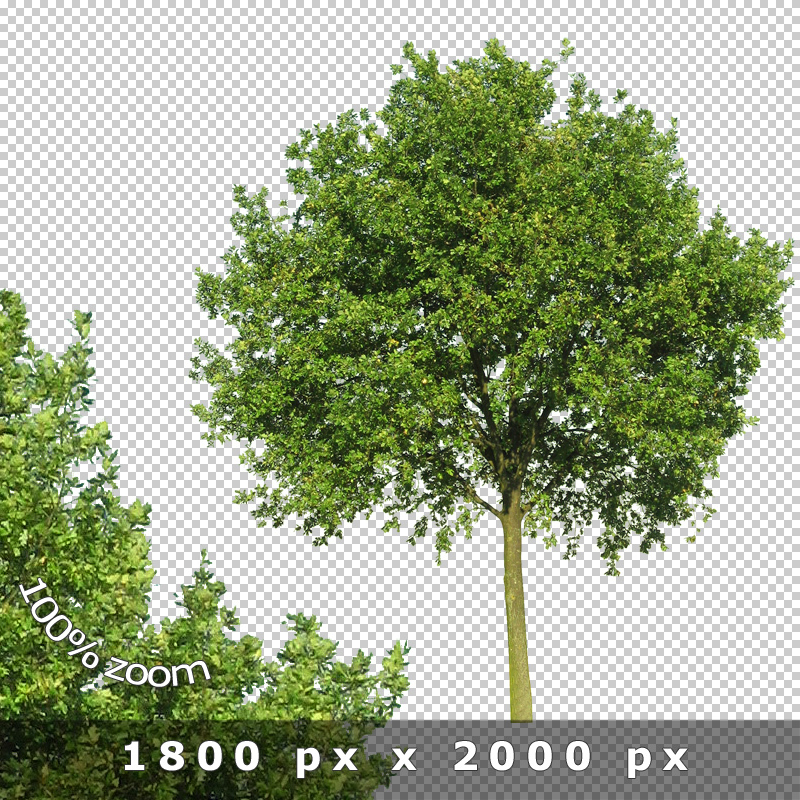 You get the same good look either you use the trees in the foreground or in the background of your scenery and this even on large prints!